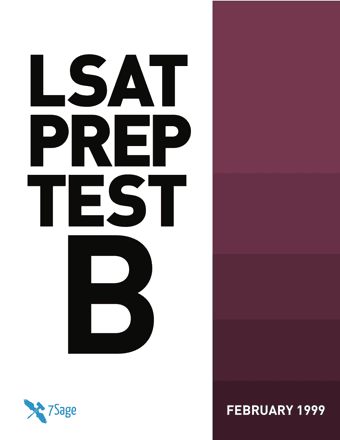 I took PrepTest B (the February 1999 LSAT) under simulated testing conditions. I want to share some of my thoughts with you. This post will cover Logic Games for which I have already made the videos lessons (with links below). Stop reading if you haven't taken this prep test yet. It'll ruin the test for you. Game 1 - Eight boats arrive at a dock. They are named Jewel, Kashmir, Neptune, Ojibwa, Pacific, Spain, Tornado, and Valhalla. Game 2 - A park contains at most five of seven kinds of trees. The trees are firs, laurels, maples, oaks, pines, spruces, and yews. Game 3 - Four married couples dine at a circular table. They are named Francisco, Gabrielle, Kyoko, Lee, Olivia, Peter, Raymond, and Simone. Game 4 - Zeno's unfinished furniture sells five types of furniture. Footstools, hutches, sideboards, tables, and vanities. From the five, Irene will buy four. Each piece Irene buys will be made from a kind of wood: maple, oak, pine, rosewood. This is a simple, easy sequencing game. We've seen very similar reincarnations of this game before. You should finish this in under 5 minutes if you want to get through all the games in this set. Your proficiency with the basic sequencing chart will determine how quickly you can push through this game. This is a very difficult in/out game. If you do not normally have enough time to finish all the games, this is the one you should skip. The rules that make this game hard are the last two rules. One of them has an embedded conditional. Both of them demand that you represent them visually to fully understand how they control the pieces on the game board. Once you do that, you can split the game into three sub-game boards to use up these two confusing rules. This is a medium difficulty spatial game. You can think of it as a circular sequencing game. It's unusual because of the circular game board. Aside from that, this game is not very difficult. Hit the questions quick after a brief, simple game board setup. For many of the questions, you'll have to draw sub-game boards that cater to them. This is a hardish in/out game with grouping within the in group. Since there's only one item in the out group, you should split the game board up into two sub-game boards to accomodate the two possible items that could be out. Once you do that, you can focus your attention of grouping the items within the in group. In the in group, you have to figure out what wood goes with what type of furniture. If you're not adept with conditional logic, there is a conditional rule that could potentially be confusing. For more Logic Games explanations like these, hop over to our Logic Games page. There, we’ve recorded video explanations for every Logic Game going back over a decade. All in HD, with variable playback speed, and you get to ask questions. Oh, the best part: it’s completely free.